On the 8th June the Dalston Male Voice Choir will be performing the in the Garden Gazebo (weather permitting) at the Lodore Falls Hotel. Returning to Lodore Falls once again after last year’s performance, the choir will be performing for the public. Come and join us for an afternoon of live music and whilst you’re here you can enjoy a lovely afternoon tea while you listen to the wonderful sounds of the choir. 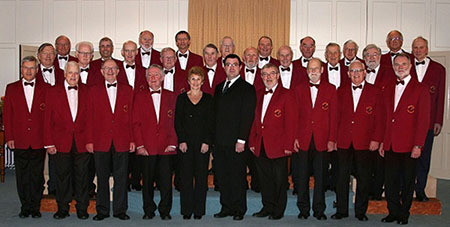 Click here for more information on the Dalston Male Voice Choir.